Not all childcare is created equal, as parents who’ve had their children in care surely know. So what if you could find a childcare centre that felt like an extension of your own home and family? Paid childcare is a fact of life for an increasing number of families in Australia – but these days discerning parents won’t settle for simply a sandpit and some finger painting. When you’re entrusting large amounts of the care and education of your little one to other people, you want to be sure that care will feel as much like home as possible. 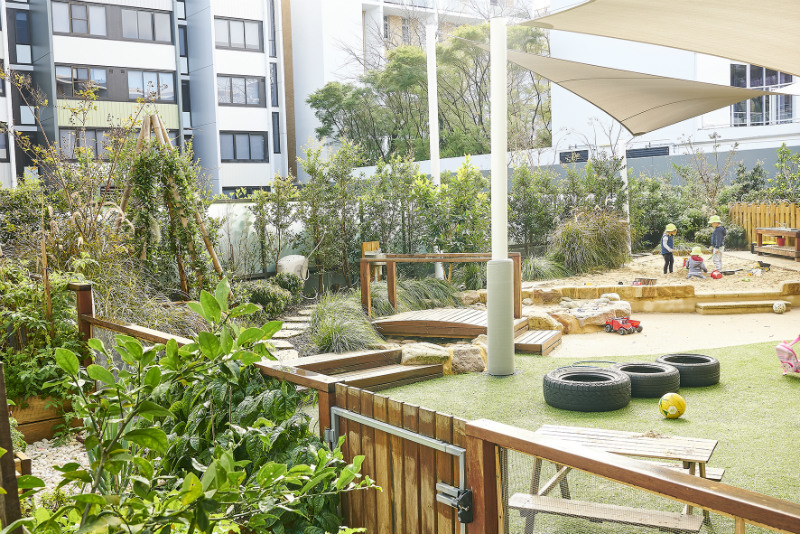 The Green Elephant Early Learning Centre is a childcare centre with two locations in Sydney – Rosebery and Waterloo. Owners Greg and Effie have developed both centres in line with their core beliefs about the importance of community and family in their philosophy of childcare. They’re so happy with what they’ve developed that they even send their two little boys to the centre! The owners and educators at the centre are well aware that life in these inner-city locations looks pretty different to life in the suburbs. They’ve tailored the centre to capitalise on everything that’s great about being part of such a tight-knit community, and to respond to some of the challenges. One of those challenges is the reality of family living in small spaces. The inner city is tight-knit in more ways than one! Lots of families live in apartments and have limited outdoor spaces to call their own – but the Green Elephant is a bit like everyone’s backyard (except nicer!). Kids who don’t get much opportunity to get their hands dirty at home certainly get plenty of chances here. The centre’s resident horticulturist encourages children to participate in growing the herbs and vegetables which are used in the centre’s own kitchens. They learn how to collect worm juice from the compost bin and sell it, together with the herbs and vegetables, at their monthly Green Garden Sale. It’s all part of their effort to be a sustainable centre, and give children opportunities to feel part of a community from Day One. They haven’t only put thought into their outdoor areas though – the stunning design of their indoor learning spaces is pretty amazing too. The play-based curriculum at the centre includes yoga and sports programs and language and music classes as well. It’s all run by passionate, friendly educators who are highly qualified in their fields. 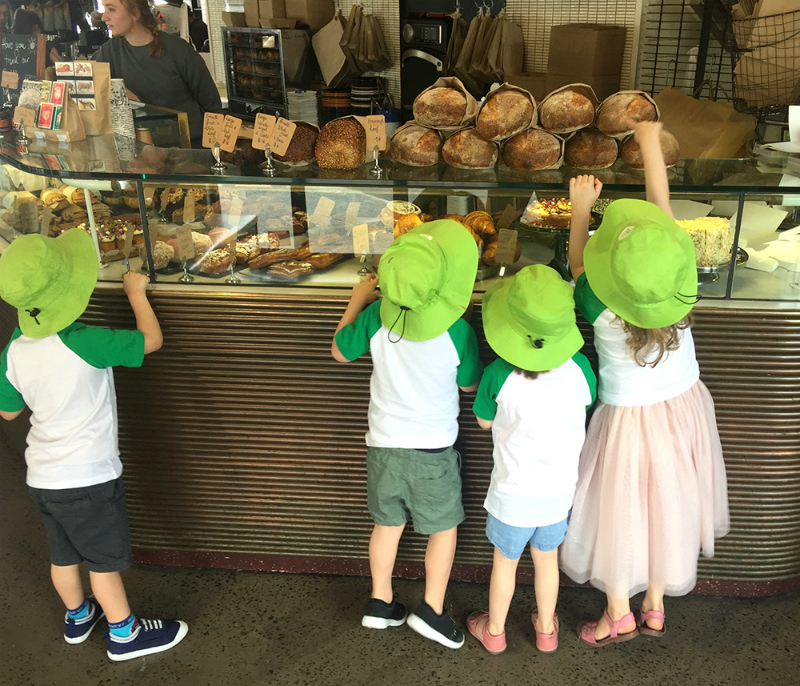 The inner city is a great place to raise kids for all sorts of reasons – and one of them is surely that so many fun experiences are right on your doorstep. The Green Elephant capitalises on this – even taking their charges on regular excursions to local bakeries and cafes where they can spend their earnings from their regular “Green Garden Sale”! 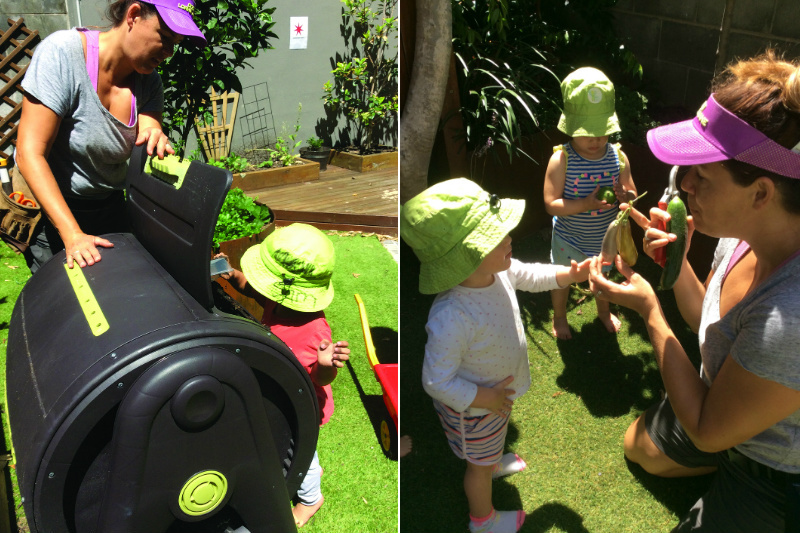 The Green Elephant Early Learning Centre has locations in Rosebery and Waterloo. Visit their website for more information about how you can be part of their family.